>Later, October! Hello, Bacon Forever! >Good morning! I’d like to start off this post by saying “thank you” to Best Buy for reminding me last night that there are only two months until Christmas. Can you detect the sarcasm in my voice? I act surprised every year…but really?! The day after Halloween?! I hope you had an awesome weekend, because we sure did! After a great party on Friday night we had a relaxing Saturday, and on Sunday we went for an awesome walk! 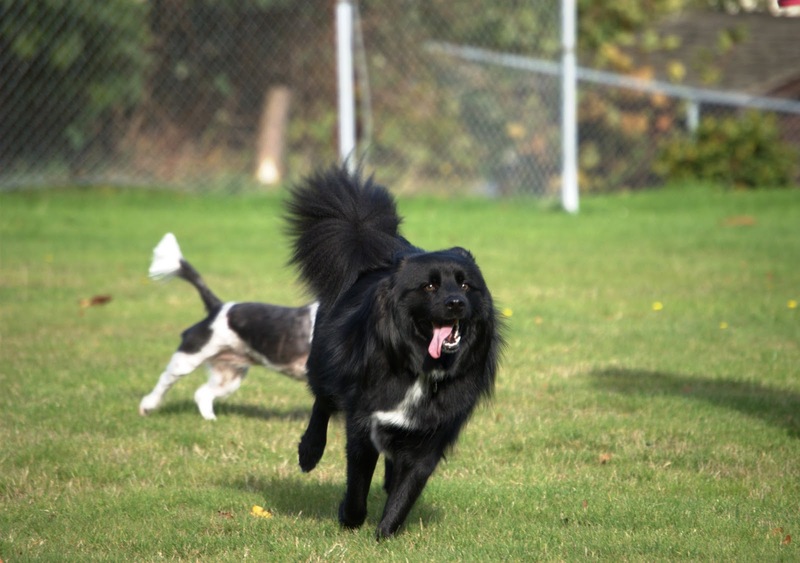 Teton met up with his gal pal Miss Gracie Rose for a romp in the fields of a local elementary school and they had a grand ol’ time! I think this might be what pure joy looks like. 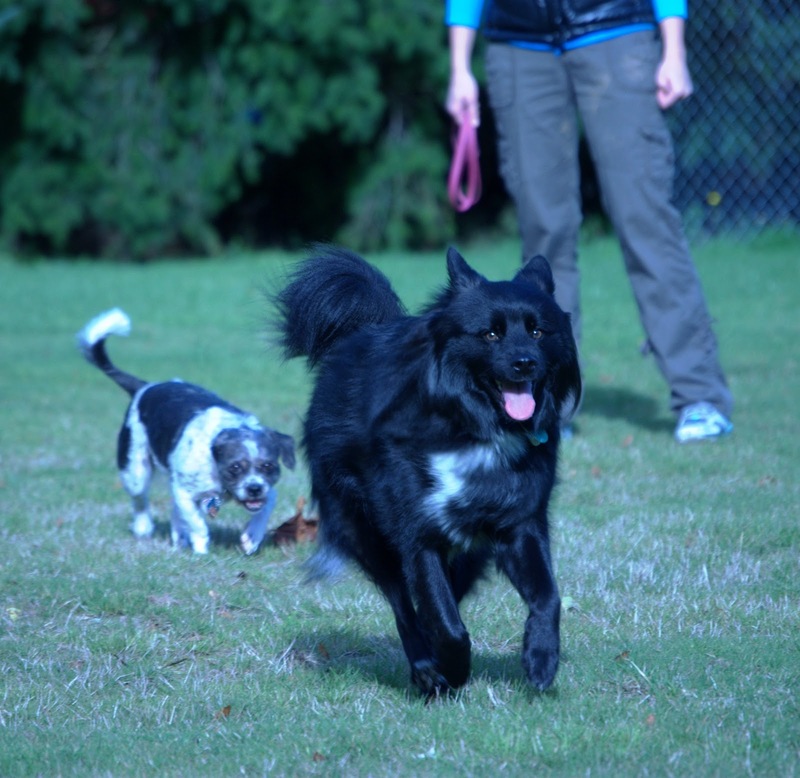 I think I’ll blog a bit later about training your dog to behave off-leash, but for now I’ll say that in my opinion you should never let your dog off of his or her leash unless you are confident that they will listen to and mind you. Especially when there are distractions. And unfortunately, there are some dogs that will never be able to be off of their leashes. 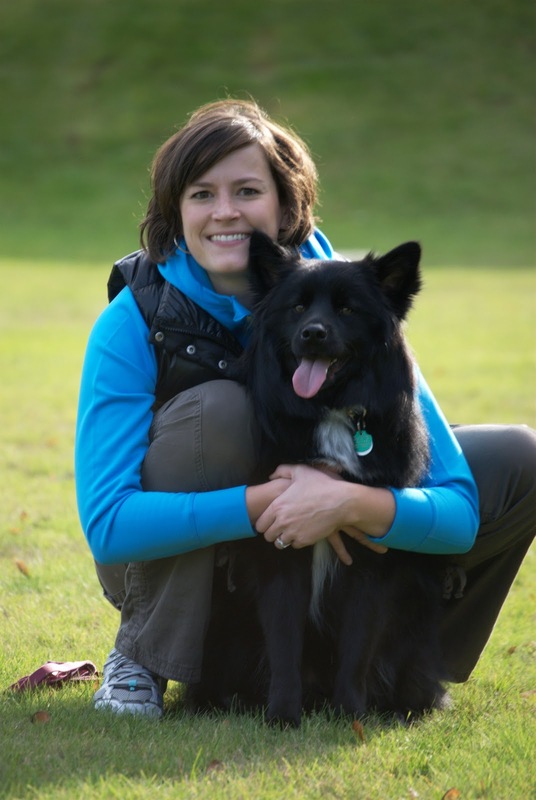 I think that 70% of it is your dog’s personality and 30% is how hard you work with them. Look at that tongue! 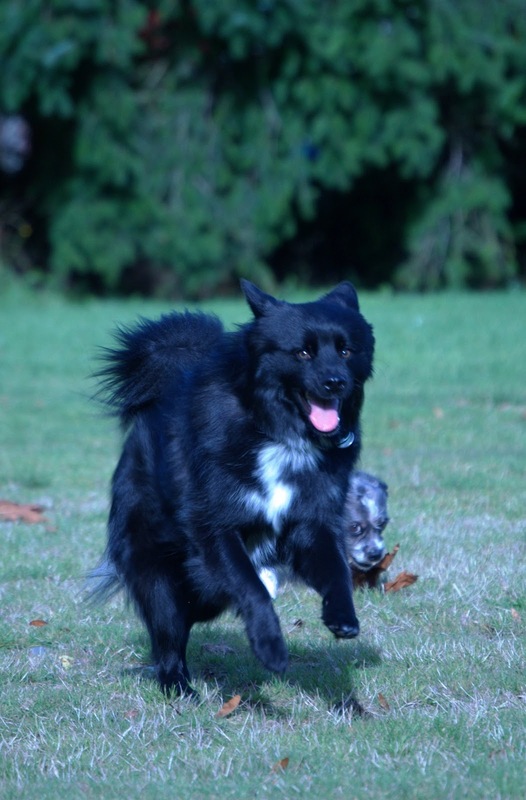 Oh, and by the way, his ears are back because he is obviously more aerodynamic that way. Duh. 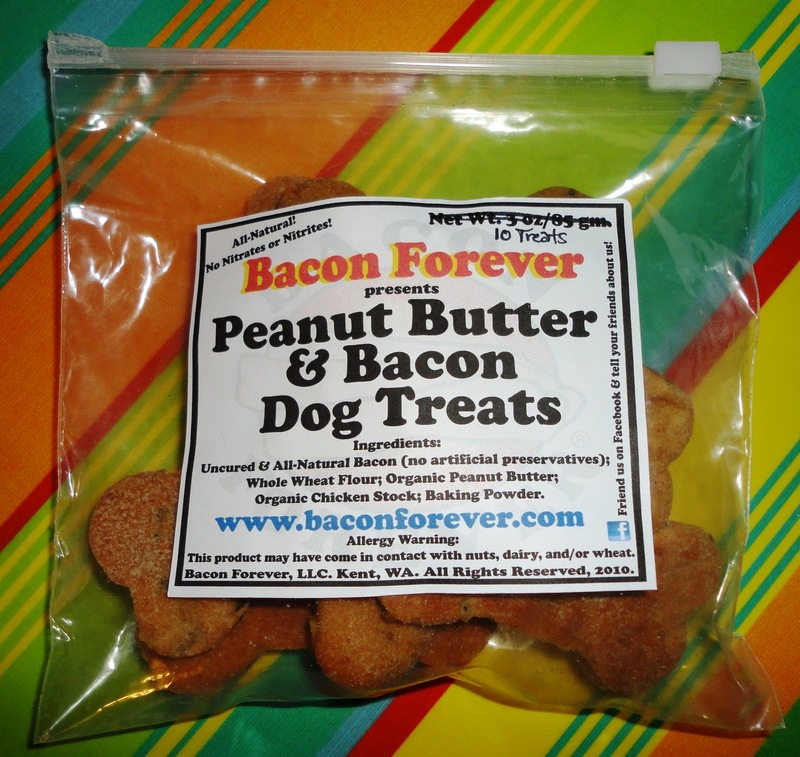 Introducing…Bacon Forever’s Peanut Butter and Bacon Dog Treats! These locally made treats are fresh on the pet market and from what I can tell, they’re doing great! They come in bags of 10 and 20 and the bag of 10 is just $5.00. So, you’re a little uncomfortable with the fact that one of the ingredients in these treats is bacon? Rest assured, my friends, because the bacon that Bacon Forever uses is all-natural and uncured, meaning that it doesn’t have added nitrates or nitrites. And for those of you with dogs that have a wheat allergy, I have it on good authority that Bacon Forever is making a wheat-free version of this treat! The Little Blogger hasn’t shown any signs of a wheat allergy thus far so I wasn’t worried about giving him this unique treat. He obviously wasn’t too worried, either. These treats are fun because they combine two great flavors – bacon and peanut butter. I have yet to meet a dog that doesn’t like peanut butter. 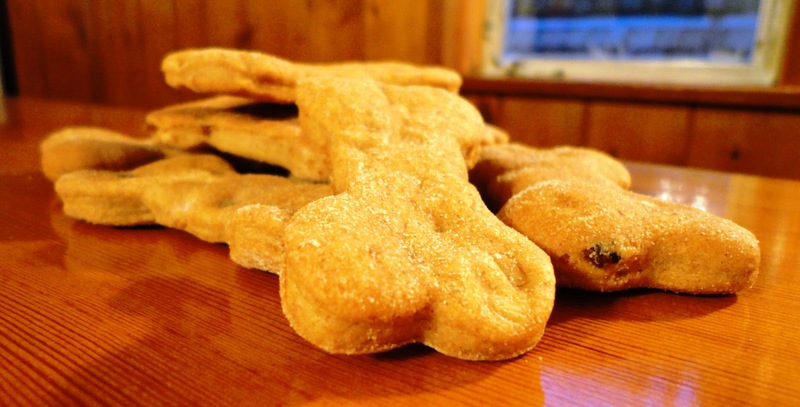 Bacon Forever’s treats are also unique because they look hard but are actually a little soft and chewy (yes, I had a bite…don’t judge!). 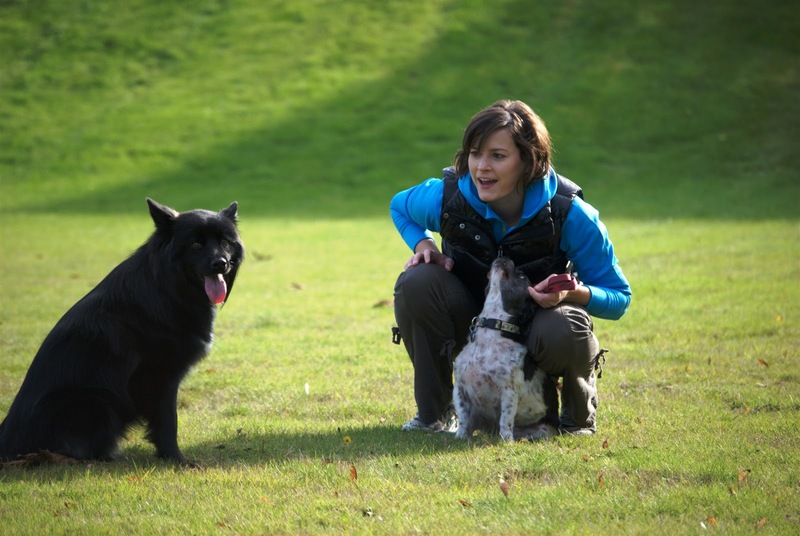 For that reason, I think they’d be great for older dogs or dogs who have difficulties chewing hard treats. The Little Blogger and I give Bacon Forever’s Peanut Butter and Bacon Dog Treats a seven out of 10 because they’re inexpensive, unique (there aren’t many bacon treats out there! 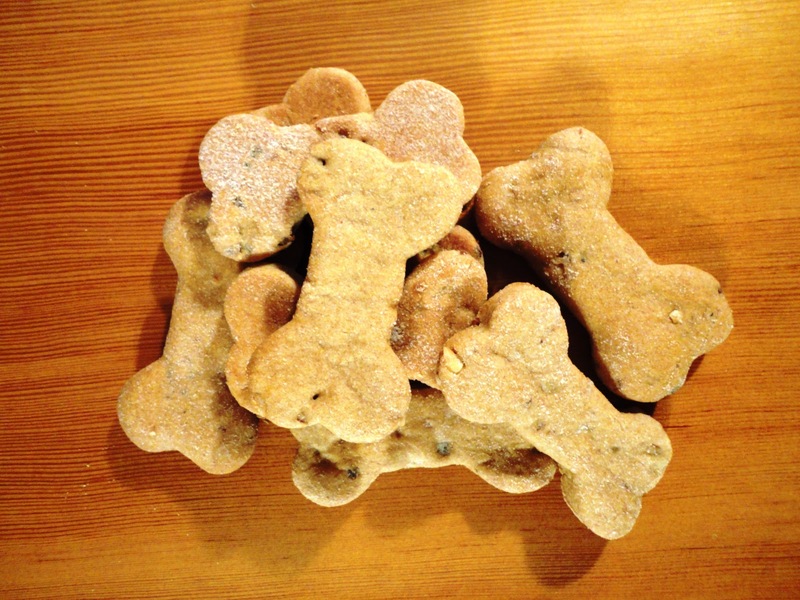 ), soft and chewy (in a world of hard, brittle treats), and locally made by good people with a genuine love for pets! If you have a dog that looooooves bacon, ditch the Beggin’ Strips and Pup-Peroni! They’re loaded with nasty additives that aren’t doing your dog any favors. You can order Bacon Forever’s Peanut Butter and Bacon Dog Treats on their website (www.baconforever.com) and you can also find them on Facebook! 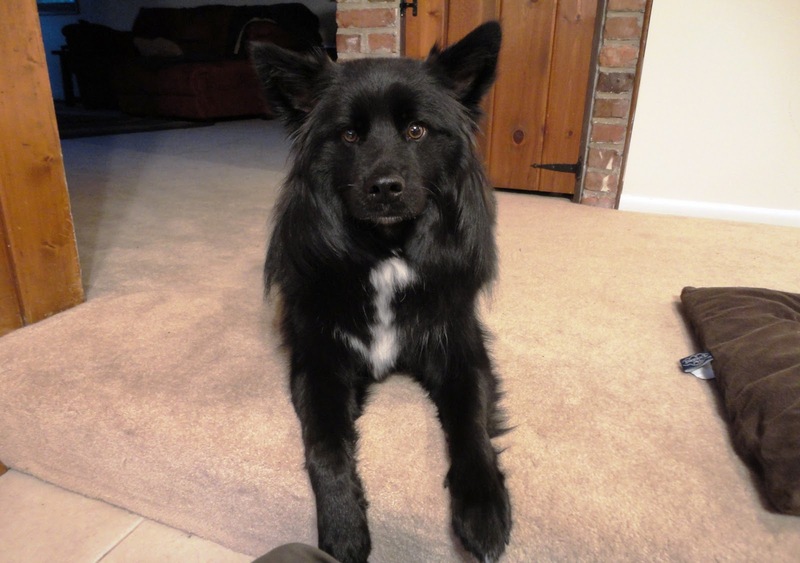 Posted on November 2, 2010 May 14, 2011 by Shannon	This entry was posted in This 'N' That. Bookmark the permalink. >Thanks Shannon! – Chris L.